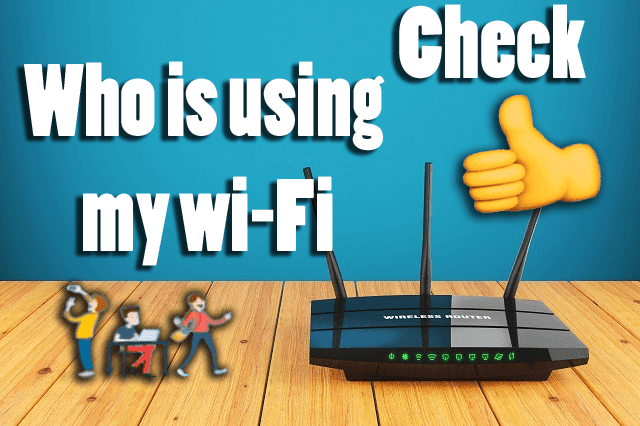 Check who is using your wifi: – Now a day everyone wants good internet speed as well as high download and upload speed because they want to make their task quick and get a result that time. It could be anything if you are student then it might project submission or download something related to study material, if you belongs to working industries where you need to submit files, sending attachment through emails, there you will need high speed but sometimes you would get some little speed because your wifi connection may be using someone else so in that case, you will switch off the wifi router. Then you might be thinking about who is connected to my wifi. 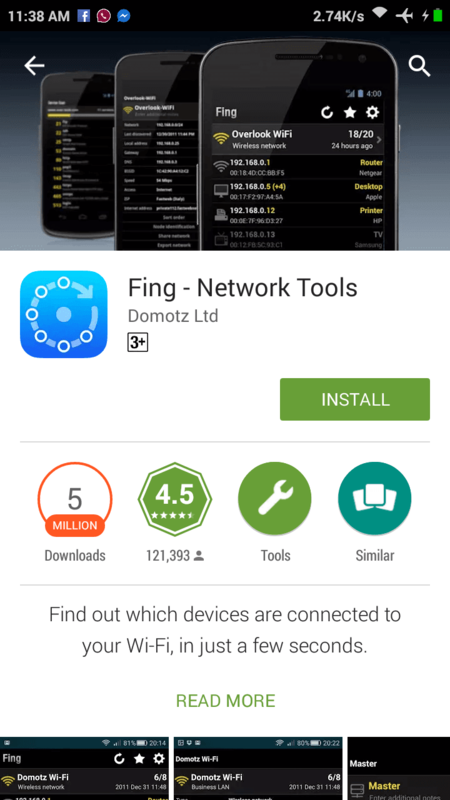 Today guys I am here with an awesome app called FING which is a really helpful app for checking how many people are connected to your wifi connection or using your personal wifi network.The Fing app crosses the millions of download. 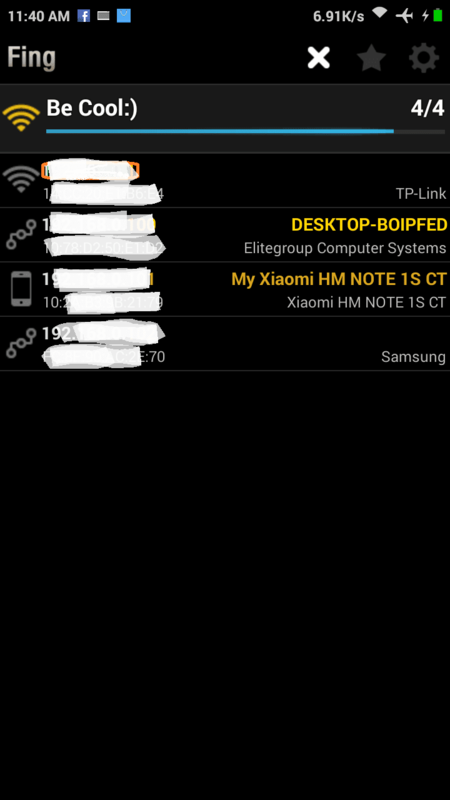 This simple app lets you know the Ip address of the phone or laptop which is connected to your wifi network. hey, guys, i am back again with another useful trick. The trick about ‘How to check who is connected to my wifi‘ connection. Now a day almost everyone using wifi connection for high speed even most of the people prefer data connection at home as a wifi connection. The main reason behind Wi-Fi lovers is that the data plan of rates increases also the charges of data plan increasing day by day. the airtel has increased their data plan rate and decrease the amount of data such as Rs 200 you will get only 1 GB data not even Airtel has risen their internet plan rate almost all sim operator has increased their data plan rate because of the high demand of internet. so guys its awesome internet connection at this price point. Let’s talk about the main topic how to check who is connected to my Wifi router. yes, Now you can check how may people connected to your wifi connection even you can block them but the main point is that how to know who is using your wifi. So friends its simple technique you can try this easy and useful technique for checking the wifi users. Now the question arises can you able to check who is using my wifi using my android Phone? yes, guys now you can check the person connected to your wifi with the help of Android application name’FING’ app. This is awesome and easy method for checking who is connected to my wifi router. Now you can control your wifi network by this simple android application. because you will also like this: – How to make android phone charge faster [Working 100%]we want good and high speed if unwanted or unauthorised users using your wifi connection then you can know how many devices connected to your wifi network and block them by using your wifi mac filter. I hope you guys like this awesome tutorial share this post with your friends who are facing slow speed and visit again for more android tips and tricks and tutorial. Just found out who was peeping through my router. thanks.